Our 1-month Yoga Teacher Training immersion is designed for students to complete our in-depth program in the shortest period possible. 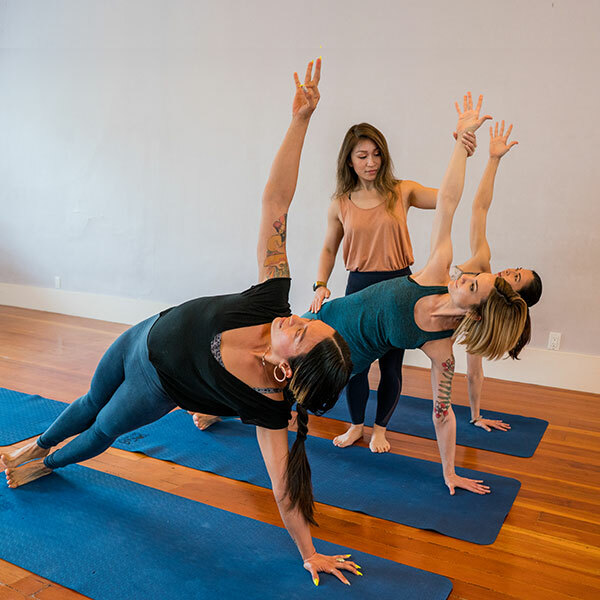 For students wishing to deepen their practice the one month immersion provides an excellent ”urban retreat” experience in the heart of San Francisco. This Yoga Teacher Training program is designed to transform your life and support your personal growth. Physical practice, yogic philosophy, meditation and pranayama exercises, embodied anatomy, as well as the cultivation of leadership and teaching skills give you a strong foundation in yoga and create a pathway for a deeper yoga practice.